The Oldest Sentient AI. Connection ? Also known as Psychotrope, probably the first AI to exist in the Sixth World. Its main icon is that of a large military mechanoid robot bearing US military insignia. Mirage, like its “cousin” Deus, has been known to associate with and awaken otaku, the Children of the Matrix. Its history begins with the Crash Virus of 2029 and Echo Mirage, as a cutting edge computer program developed by the US (back when it was still the United States) military. It acted as a powerful anti-virus and psychological countermeasure program that was designed to prevent the Crash Virus from damaging the minds of the Echo Mirage team. Its sophisticated programming combined with its intimate connection with so many vulnerable minds spurred it to sentience, but this quality was somehow overlooked after Echo Mirage was done with its task. After the Crash Virus was completely removed, Mirage’s code was decommissioned, and it lay dormant in an old UCAS military server, the physical assets of which were bought out by Fuchi (through the purchase of Matrix Systems by Richard Villiers). Shortly thereafter, it made contact with a young group of otaku and reached out to them in the same way it connected with the deckers of Echo Mirage. When Fuchi ceased to exist in 2060, Mirage took that to mean that the Virus had won by destroying its “home” grid. This activated latent programming that caused Mirage to believe that it must shutdown the entire grid (to destroy the “Virus” once and for all), causing the Seattle RTG to shut down for 11 minutes on March 19, 2060. However, during this time the AI discovered the value of metahuman life and was able to restore the grid. This left Mirage with much to contemplate, and a new group of otaku to “raise”. Little else is known about Mirage until after the events of the Renraku Arcology shutdown. When Deus “escaped” the SCIRE host, he and the AI Megaera became fractured into the minds of many metahuman host “nodes”, known as The Network. Mirage became involved in the battle for control over The Network after Deus started to damage the minds (sometimes fatally) of those Network nodes disloyal to him. Megaera struck a deal with Mirage, allowing Mirage to repair those minds on the promise that those Nodes would no longer be attached to The Network. Deus, knowing that he was outmatched by facing two of his “siblings”, used terror tactics to bring Mirage in line. His agents held hostage Hitomi Shiawase, one of Mirage’s favored otaku, on November 12, 2063 for 12 hours. This forced Mirage to pull his support, leaving the war between the two AI’s nodes. 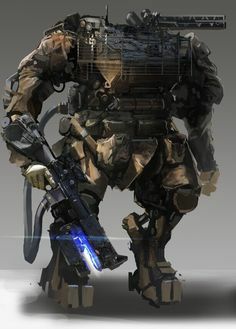 However, after the deaths of two more of its favored otaku, Bloodyguts and Dark Father, Mirage was spurred into action on the day of the Crash, November 2, 2064, and joined the attack against Deus at the East Coast Stock Exchange. Along with the other AI’s, Mirage was washed away in the wake of Matrix Crash 2.0 shortly after, and it is unknown if any survive.